OPORTUNIDAD¡¡ VENTA DE GRAN TERRENO CON 3 CASITAS EN EL CABO DE SAN ANTONIO, A POCOS MINUTOS DEL PUERTO Y DE TODOS LOS SERVICIOS, RODEADO DE NATURALEZA Y PARQUE NATURAL. IDEAL PARA LOS AMANTES DE LA NATURALEZA Y LA TRANQUILIDAD. CASITA DE 65 M2 CON MUROS DE PIEDRA Y SUELOS DE BARRO, COMPUESTA DE SALON COMEDOR, COCINA TOTALMENTE EQUIPADA, 1 DORMITORIO DOBLE, 1 BAÑO. CASITA-REFUGIO DE 34 M2 COMPUESTA DE SALON COMEDOR CON CHIMENEA, COCINA Y PORCHE. 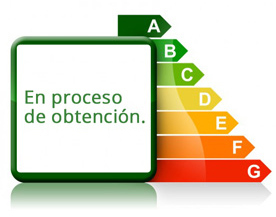 LA PROPIEDAD TIENE FOSA SEPTICA, POZO PROPIO, CONTRATO DE LUZ Y DE AGUA POTABLE.